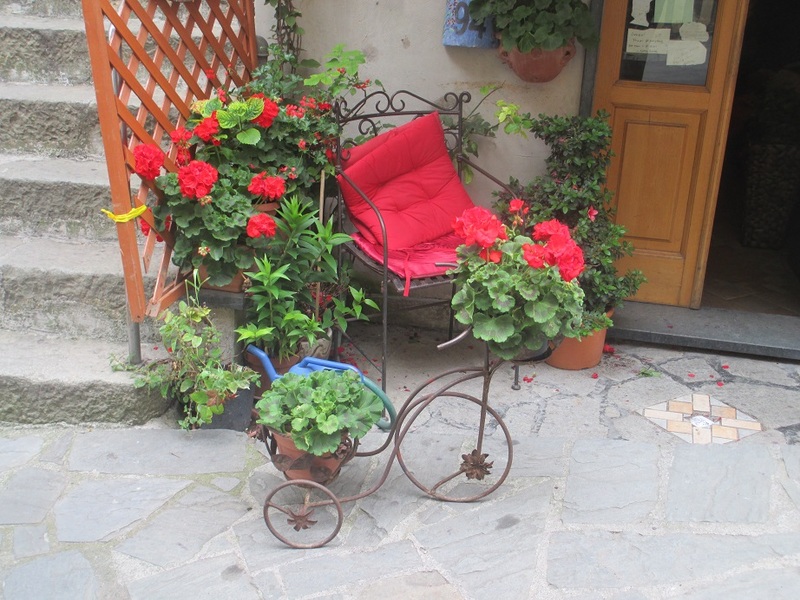 This entry was posted in Italy, Riomaggiore, Travel and tagged Cinque Terre, doors, souvenir shopping, train, train travel. Bookmark the permalink. A very colourful post, Meg.I like how you show us the passing scenes from top to bottom – all levels of the view and so many colours. Thank you Anneli. This was my first visit here and it was both beautiful and challenging to climb up so many stairs – but the views made the effort worthwhile! I always enjoy traveling along with you his your posts and photos! That place has a musical name. Interesting – I have always wished to go there! I thought it was a wonderful place and I hope that you get to see it soon! Your post took me right back to our visit in 2011. What a great place this was, although we took the bus, not the train. The marina at Riomaggiore is so fantastic. Sit & enjoy…. Trains & boats & wee mopeds…all delightful ways to move about paradise. Thanks Jill – I really enjoyed seeing all those boats, and I think mopeds would be a great way to get around too! This looks a great idea for a tour! It was so beautiful and something I’ll never forget. I’d definitely like to return in the future! A lot of walking up and down steep paths or steps, though? It was very steep! I took my time, stopped for gelato and took lots of pictures. All of those things made it much easier! Probably not for me then, Meg….but I have long thought I would like to see this area! It is also fun to take the boat between the gorgeous villages. That sounds like a fantastic way to see the villages – I’ll have to try that next time! I’m so happy that you came along and there are several more villages to visit! I, too, have always wanted to visit the Cinque Terre. Your photos are so lovely – I thoroughly enjoyed the tour! Thanks for sharing! Love the Cinque Terre – we spent a few days there last year, so lovely to go back with you in this post Meg. It was a wonderful experience being there and it sounds like you really enjoyed it too! Each of the villages was unique and charming – I hope that you get to see them sometime soon! Oh boy, I would LOVE to visit this area of Italy! I’m glad you had a great trip, your photographs are wonderful. Thanks Elisa! I think you would really enjoy seeing the Cinque Terre too. The villages are so charming! It was lots of fun and the gelato was excellent! Awesome place and wonderful photos. Maybe someday we have to visit there. Thank you. Thank you – it’s a beautiful place to visit! CT was so crowded when we were there last time, it wasn’t so some years ago… Beautiful photos! I remember the “milk train” was very crowded. It’s a good thing the stops were so close together!